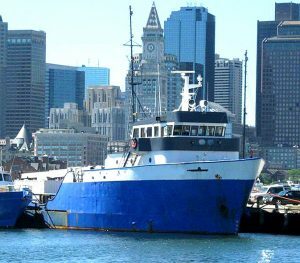 Built at Halter Marine in 1978. It was originally built as an offshore supply vessel for oil rig work in the Gulf of Mexico. It has since been modified with special equipment to make it an effective and capable Dive Salvage Support Vessel. It has a powerful 40 ton deck crane, a 60 ton stern-mounted H-Frame, 80 Tons of Bollard Pull, 4-Point Mooring System, ROV, support boat, 2 x 20’ containers on deck, RIB and a wide range of miscellaneous salvage, dive and lift equipment. There are accommodations for 16.